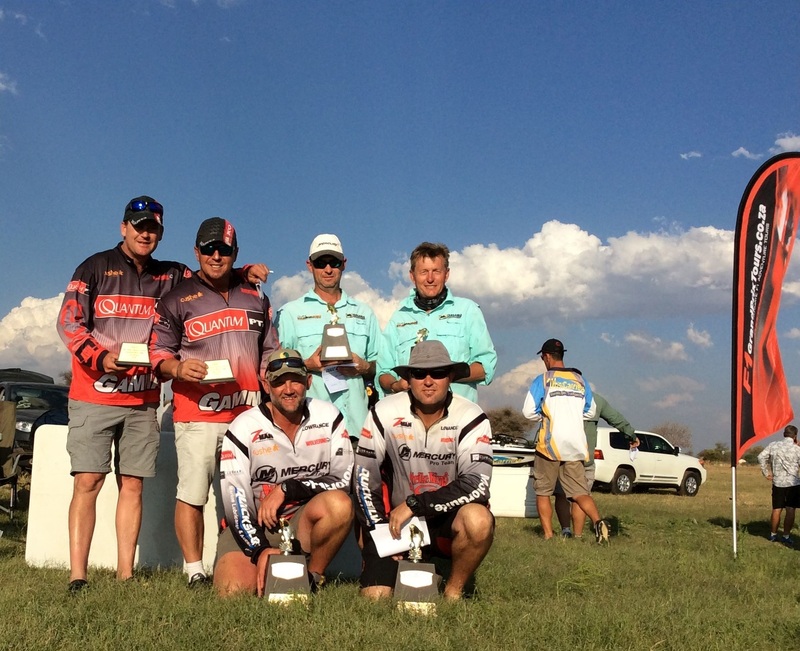 The final qualifying competition for the 2016 Ebass series was held at Roodekoppies. The dam turned out to be a good choice for an early October bass fishing venue. Fishing was good with a winning bag of 8,64 kg being presented by Team Mercury Quantum. Although the majority of females caught had already spawned, the biggest fish of 2,8kg weighed by Nikki van Veelen of Team F1 Grand Prix Tours, still carried a lot of eggs. The most successful patterns came from areas which offered a combination of both shallow vegetation with rocky bottoms. Once again an enjoyable and successful event – now for the final at De Hoop Dam 04 and 05 Nov 2016 – WATCH THIS SPACE! No Replies to "THE EBASS TRIAL - Roodekoppies 2016"